The plan was for pipers from round the world to play at 6am, in different countries, meaning the pipes played continuously for 24 hours. 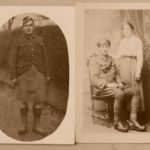 A pair of Campbeltown pipers joined thousands worldwide early on Sunday morning. 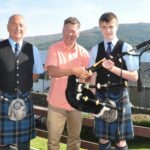 At 6am, in fine weather, pipers Calum McKillop and John McGeachy played at the Esplanade war memorial in an armistice commemoration, expected to boast 1,000 UK pipers and many more round the globe in a tribute to the fallen of the First World War. Calum played Battles O’er and John played Fleurs of the Forest. 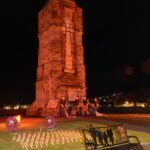 Campbeltown members of the Royal British Legion Scotland attempted to photograph and video the historic occasion in poor pre-dawn light.